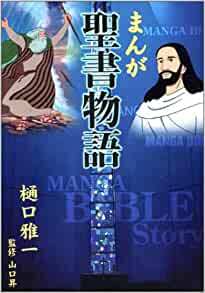 (Japanese title: Manga Seisho Monogatari) The story of the Bible from Genesis to Paul s letters in exciting comic book style (manga) stories for children, youth and adults. Pronunciation marks. Japanese-style manga B&W illustrations. Ideal for host families of Japanese foreign exchange students and home-stay guests ages 8-25."